It was wonderful to be part of this sold-out event, and to join the conversation examining the challenges and transitions to a more sustainable future for fashion. 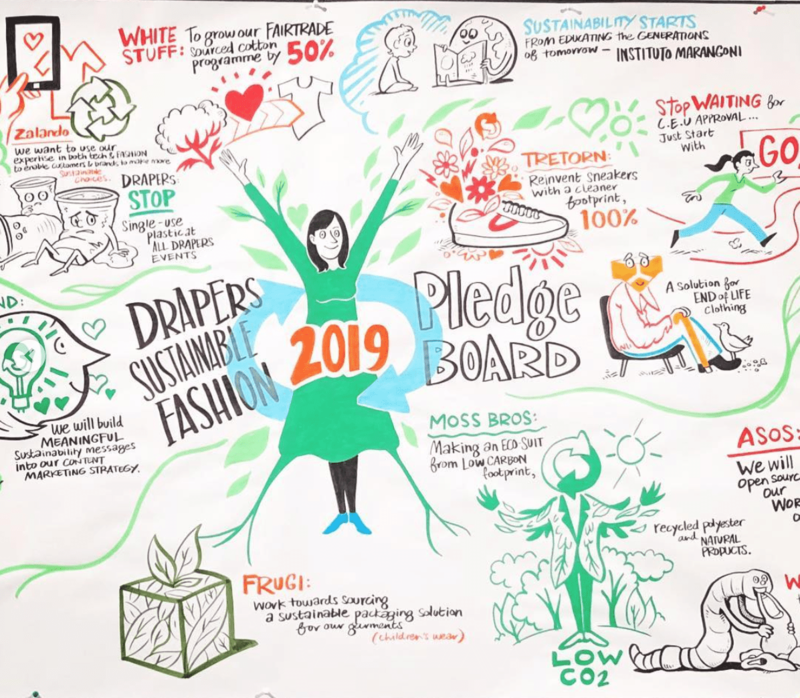 Over 200 professionals from leading brands and retailers, supply chain specialists, and materials and technology innovators gathered together to explore how to bring sustainability initiatives to the top of the agenda, and unlock the business potential of these initiatives within fashion. The event opened with MP Mary Creagh’s dynamic address on why fashion needs fixing. She presented the case for an urgent call to action by the fashion industry, outlining its huge environmental impact, its effects on overconsumption, waste creation and workers’ rights. Creagh shared the findings of the Environmental Audit Committee’s recent report ‘Fixing Fashion‘ — which she chairs — and urged the fashion industry to step up its game in order to meet global targets on climate change, foster sustainable development, and address workers’ welfare. The report proposed sustainable solutions that can involve legislation, such as a 1p charge per item of clothing in the UK to help fund better waste collection and recycling systems. The day offered a packed schedule of talks, panels and Dragons Den-style innovation pitches. 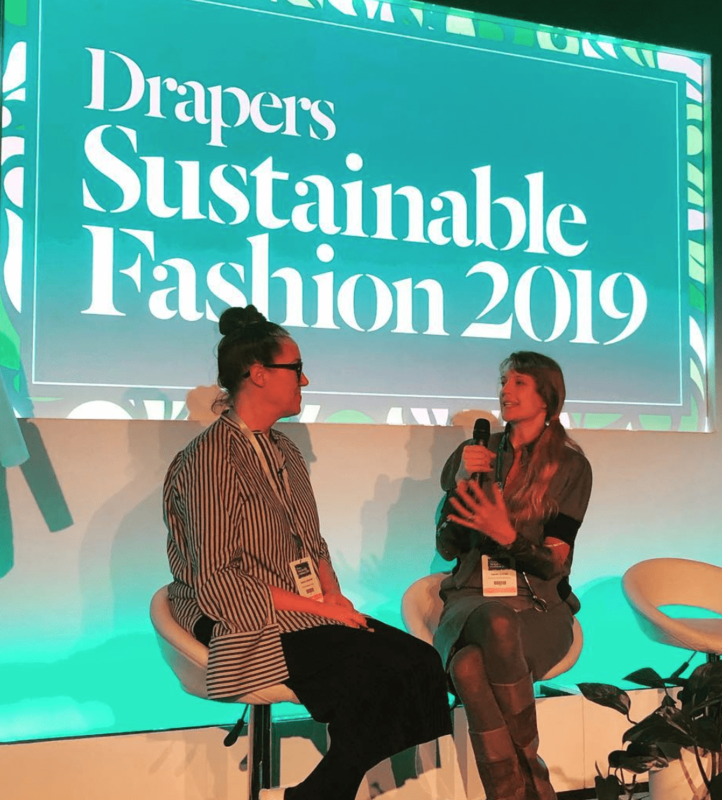 Discussions involved some of the most progressive and visionary fashion brands and retailers, leading not-for-profit bodies and sustainability champions from around the world big and small, such as Fashion Revolution, Kering, Burberry, and many more. Forum for the Future‘s Sally Uren urged creatives to design for nothing less than systemic change, while Adidas x Parley for the Oceans presented their AIR strategy (“Avoid, Intercept and Redesign”), an inspiring example to others in the industry. 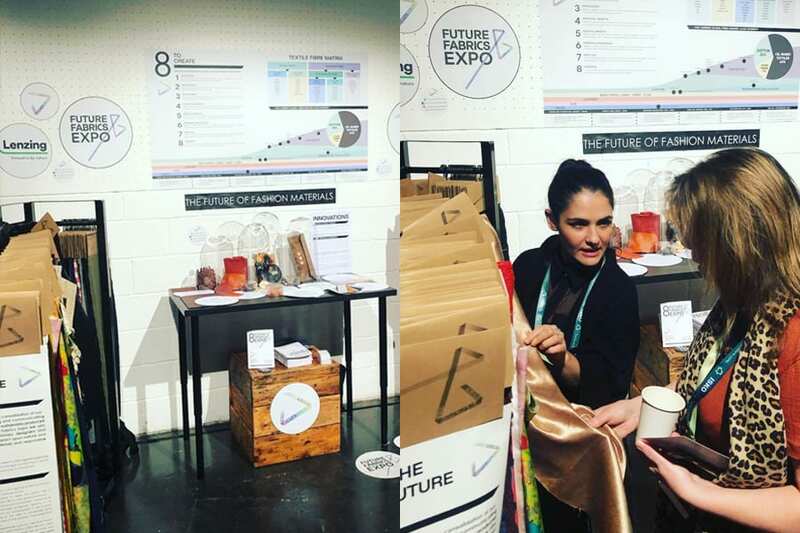 The Sustainable Angle showcased a selection of commercially available material solutions and upcoming innovations from the Future Fabrics Expo, alongside our partner Lenzing Group. At the conference, Curator Amanda Johnston presented The Sustainable Angle’s ‘8 to Create: Principles for People, Planet and Responsible Prosperity’ to support informed sourcing and design systems thinking. This was followed by a conversation with Tamsin Lejeune from Common Objective. Tamsin and Amanda discussed their perspectives on current and future materials impacts and how their respective projects contribute to minimising the environmental and social impacts of our industry. A huge congratulations to the Drapers team for coordinating this exciting event that supports the transition to a cleaner, greener future. It is great to see how all members of the industry can make positive contributions throughout the fashion supply chain.